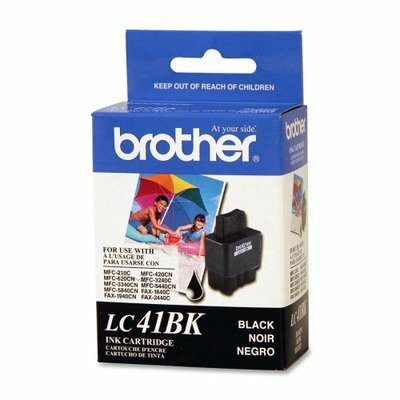 The Brother LC-41BK is a black ink cartridge that produces reliable, high-quality documents. 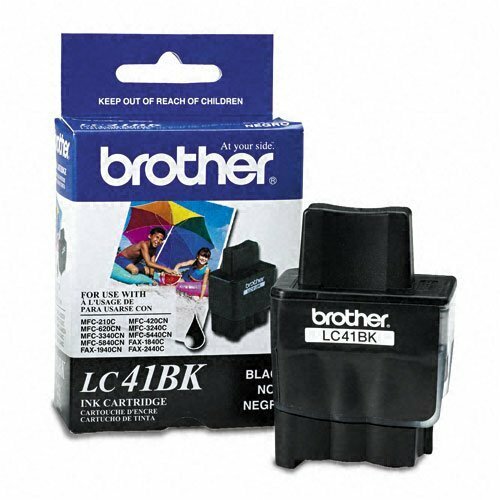 Compatible with Brother multifunction machine models 210C, 420CN, 620CN, 3240C, 5440CN, and 5840CN, the cartridge snaps easily into place and supplies approximately 500 pages of print, based on 5% coverage. The ink is resistant to water, fading, and smudges; and its acid-free formulation won't damage the paper. 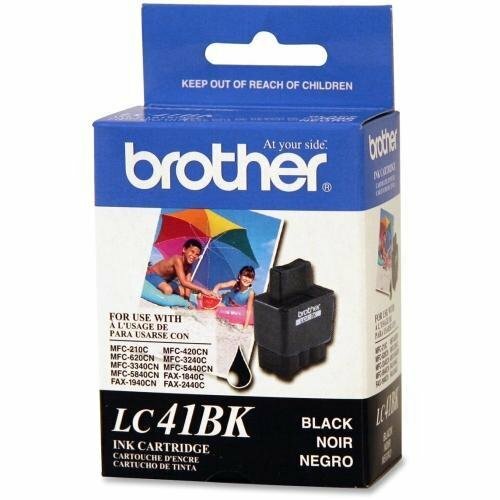 Specifications Product Name: Brother LC41 Compatible Ink CartridgesInk Type: Dye based inkPage Yield: Black is 500 pages per cartridge. 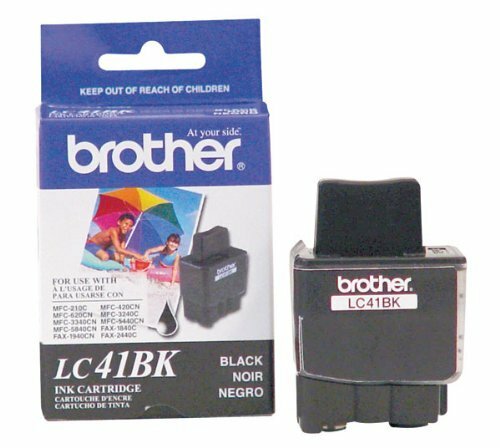 Color is 400 pages per cartridge.Compatible With DCP-110C, DCP-120c, Intellifax 1840C, Intellifax 1940CN, Intellifax 2440C, MFC-210C, MFC-3240C, MFC-3340CN, MFC-420CN, MFC-5440CN, MFC-5840CN, MFC-620CN, MFC-640CW, MFC-820CWWorks with ALL Brother printers that use LC-41 ink cartridge. 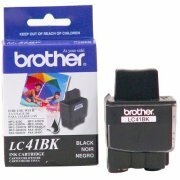 PREMIUM COMPATIBLE Brother LC-04BK Black Ink Cartridge for MultiFunction Machines. 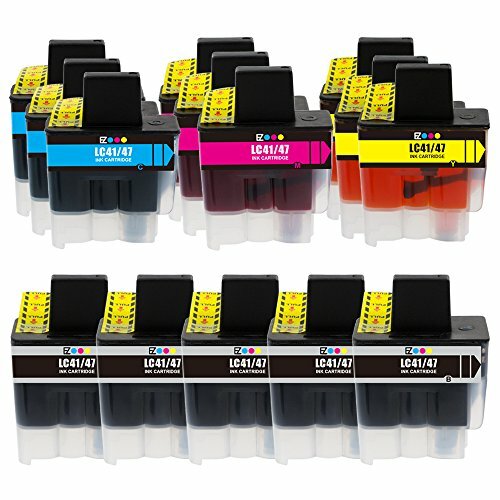 Replace only the empty cartridges with the four-cartridge ink system. Shelf life is ensured to be longer with hermetically sealed packaging. 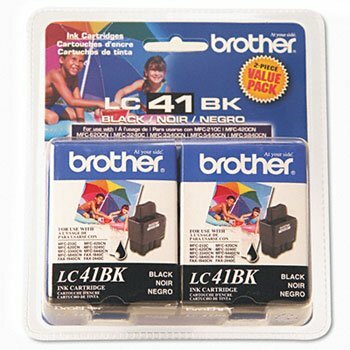 A constant, high-quality performance is a benefit all can enjoy when using Brother ink cartridges. 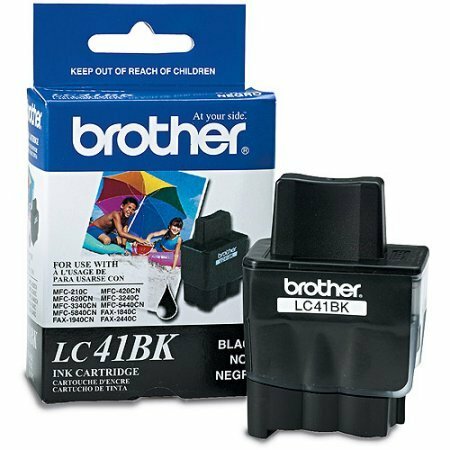 Every cartridge is designed to provide optimal printing performance. 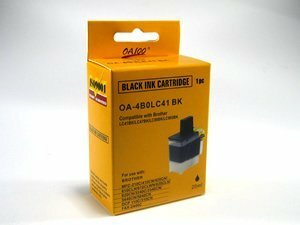 Device Types: Fax Colors: Black Page-Yield: 500 Supply Type: Ink. Copyright © Wholesalion.com 2019 - The Best Prices On Brother Black Lc41bk Printer Cartridge Online.